Electronics enthusiasts that are looking for a faster way to prototype projects may be interested in a new modular electronic system called Atomo which has been created by Atomo Systems. 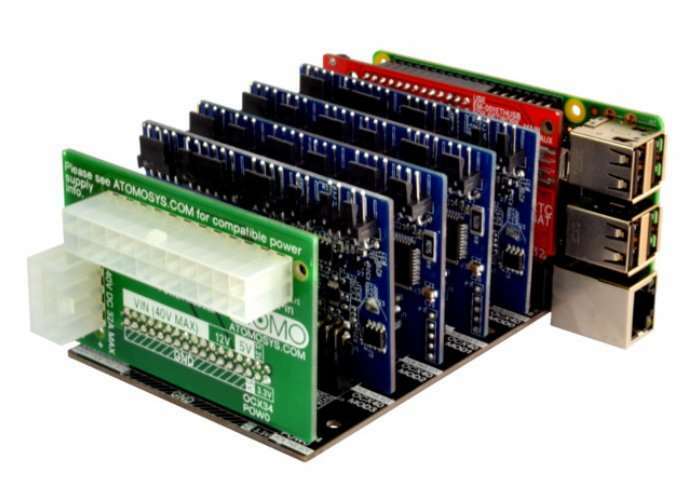 Atomo has been designed and developed to provide is a complete system for building electronic projects with four parts that take the form of Control, IO, Power, and Connector. Watch the demonstration video below to learn how the different modules can be combined to create a wealth of different projects with ease. All modules can then be reused to build your next project when required. We’ve reimagined how to design and build electronics. Create almost anything from a USB powered simple sensor to a monster 2 kilowatt robot. The system is perfect for one-off projects or product development. Spend less time going from prototype to production. Come and check it out and let us know what you think! Focus on your project instead of running extra wires for power or running out of IO. We designed in flexibility and ample system resources. Reuse and remix your system. Anything you need is already there to handle most problems. Solve larger problems by adding more resources instead of starting over. The heart of any electronics project is how you connect it to the rest of the world. Each IO module has a useful amount of IO and Power available for most applications and can be doubled up on our 8-module connector board. For more information on the new Atomo modular electronic building system jump over to the Indiegogo website for details by following the link below.